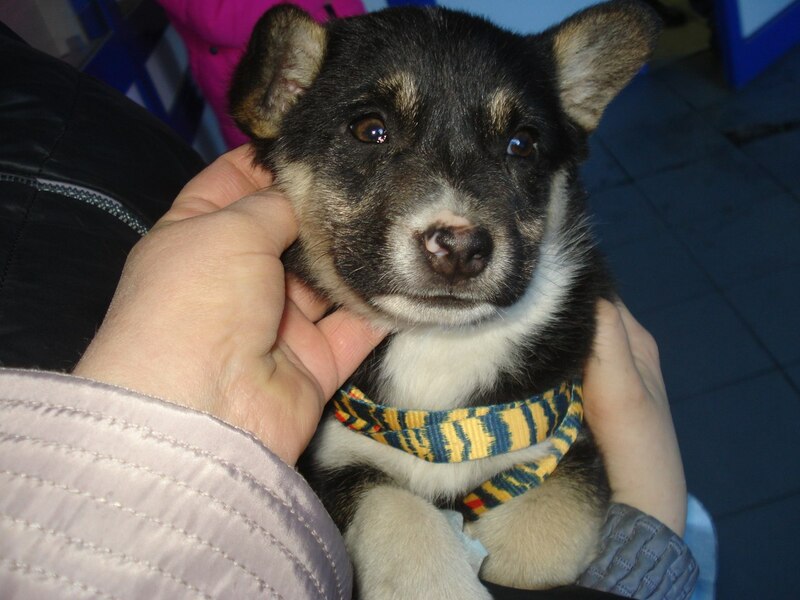 In the first 18 days of December 2015 BAGIRA group of volunteers took into their homes 31 animals to foster, a few puppy litters and adult dogs are being cared for by the group (food is provided by BAGIRA). 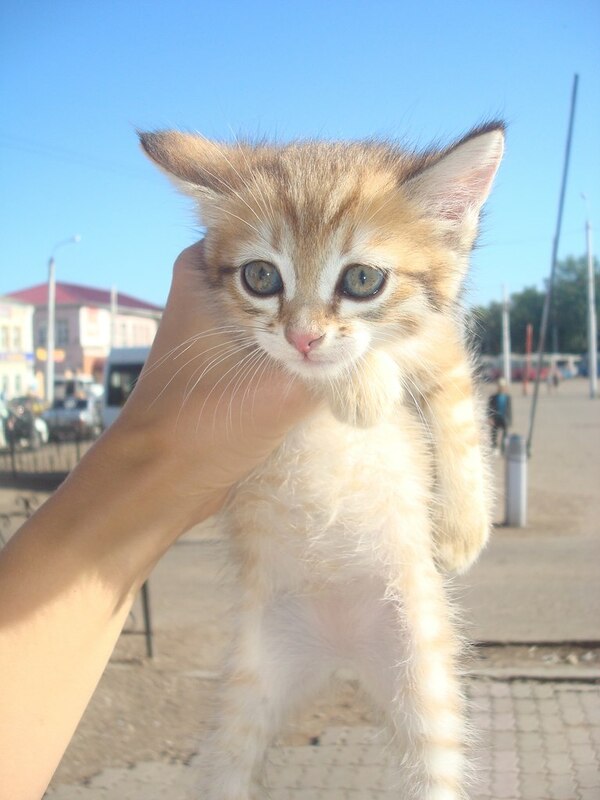 Volunteers foster the animals in their homes (usually small flats) and the financial support is provided by people like you. 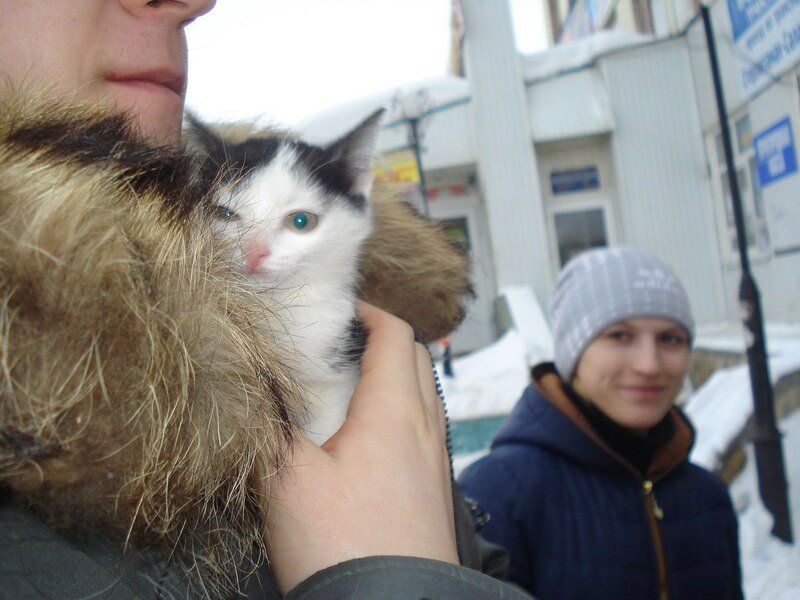 Unfortunately, this month’s adoption events were not very successful. The past 2 events none of the animals found their homes. 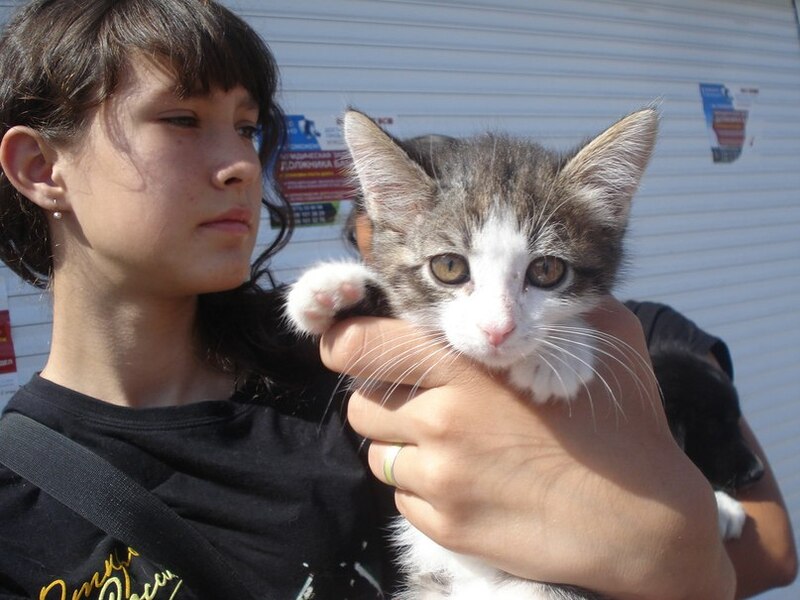 Adoption events are organized by the volunteers who foster homeless animals. 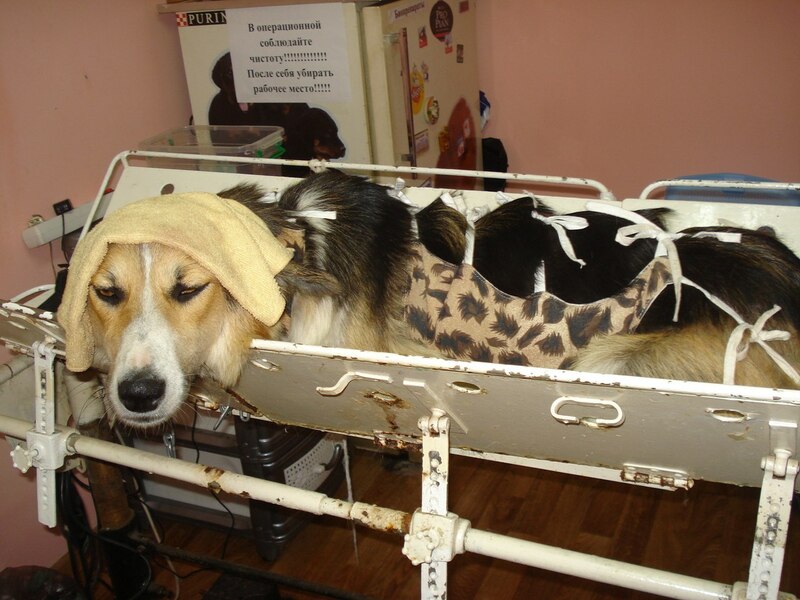 All animals are previously dewormed and vetted. This work cannot be done without your help! Please make a small donation to BAGIRA group. Anything will go a long way. Thank you and happy holiday! BAGIRA is an organization that exists and works directly off of the donations received from general public. All Volunteers and organizers of this group are working as unpaid volunteers and all proceeds go to cover the cost of medications, transportation, food and surgeries. 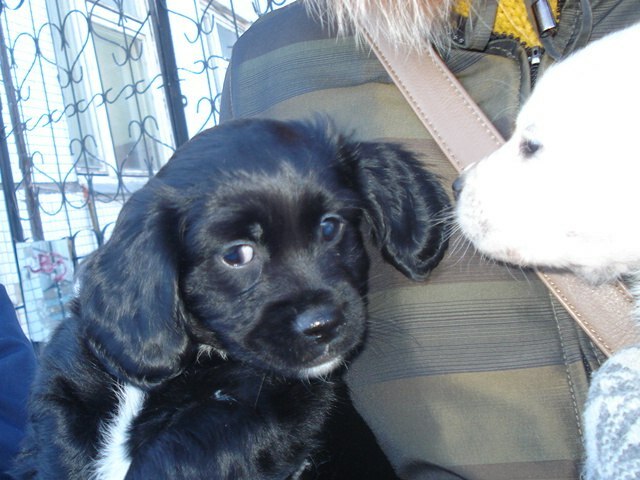 Sterlitamak Volunteers group has found homes for 8 previously homeless animals. 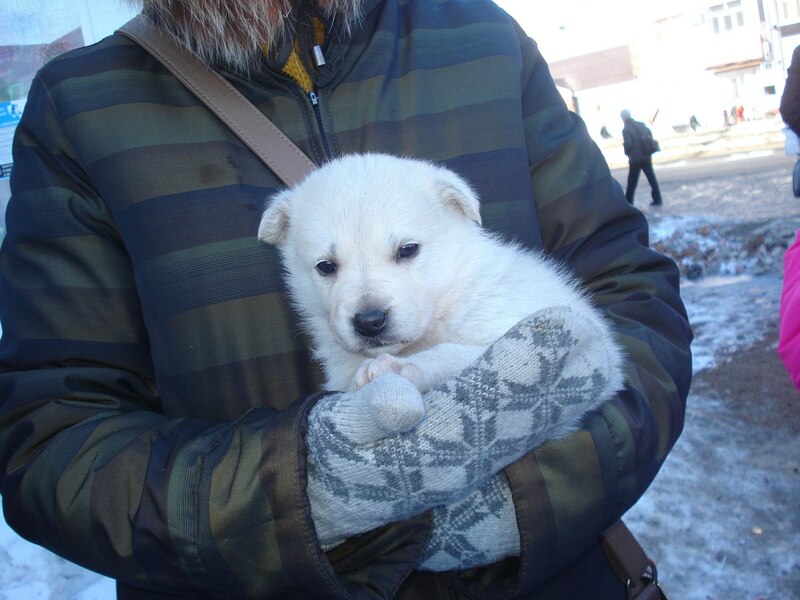 8 puppies and 2 kittens went to their forever homes on Sunday, March 15, 2015. 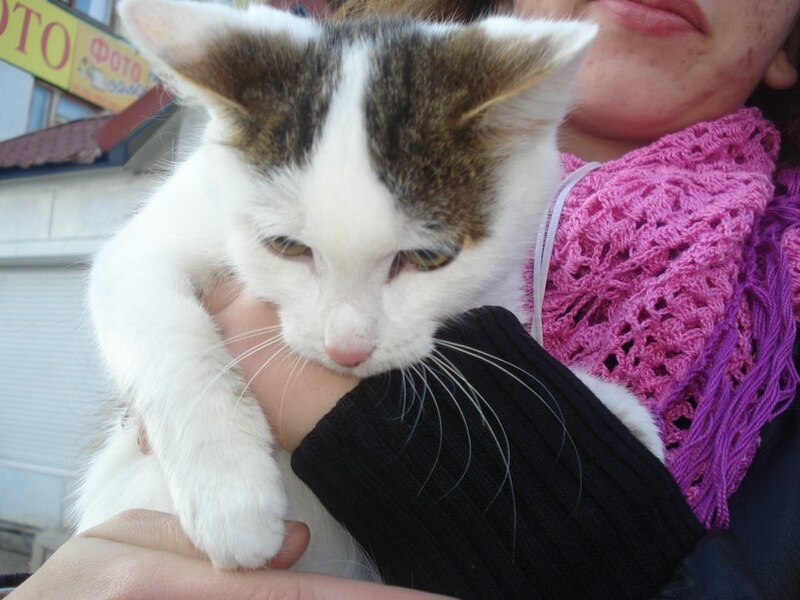 All animals have sad stories and we hope now they will have only happy endings. 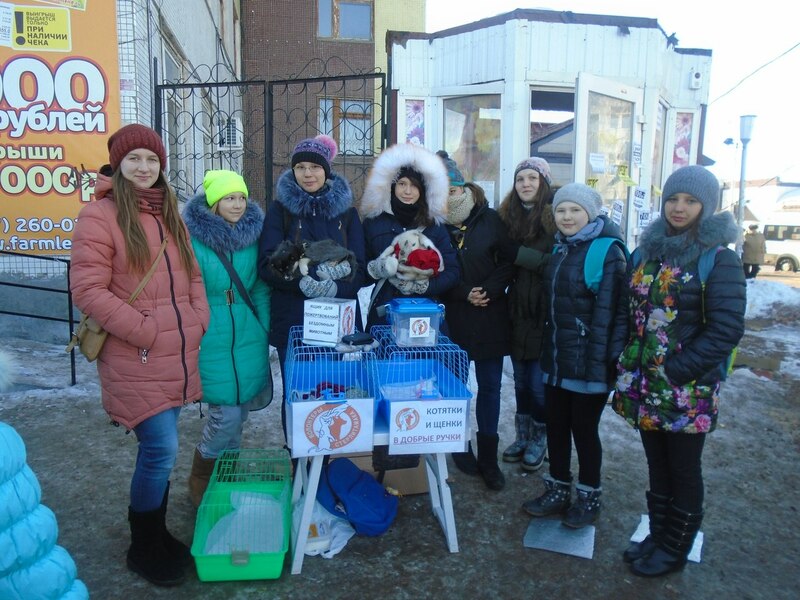 For 3 months of this year 2015 the group has already saved over 80 homeless animals. 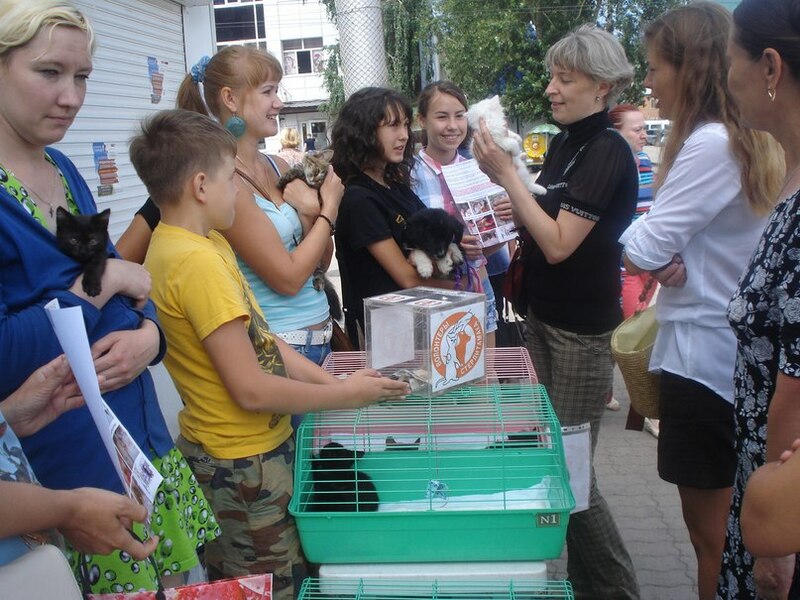 The work of the Volunteers is priceless and they have the biggest hearts! 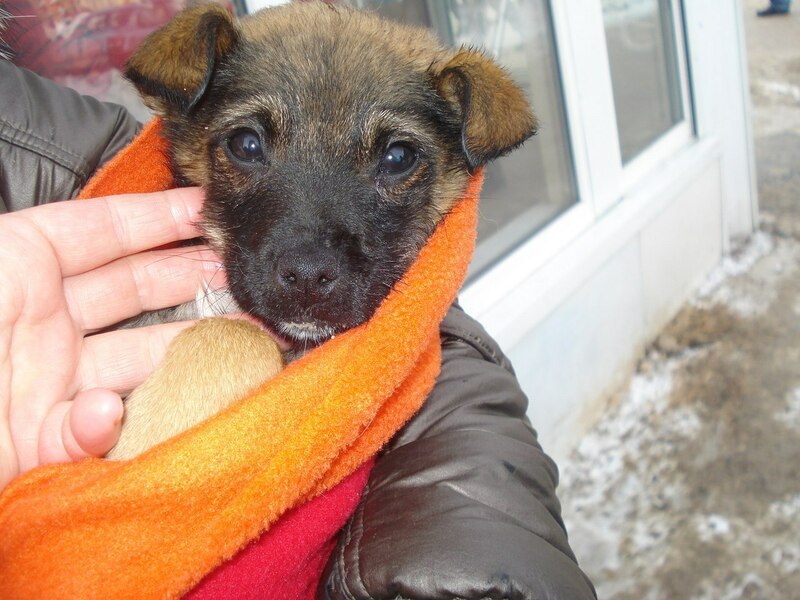 Either it is a litter of new born puppies whose mother was killed or a cat that was hit by a car and paralyzed – the Volunteers are there to help! 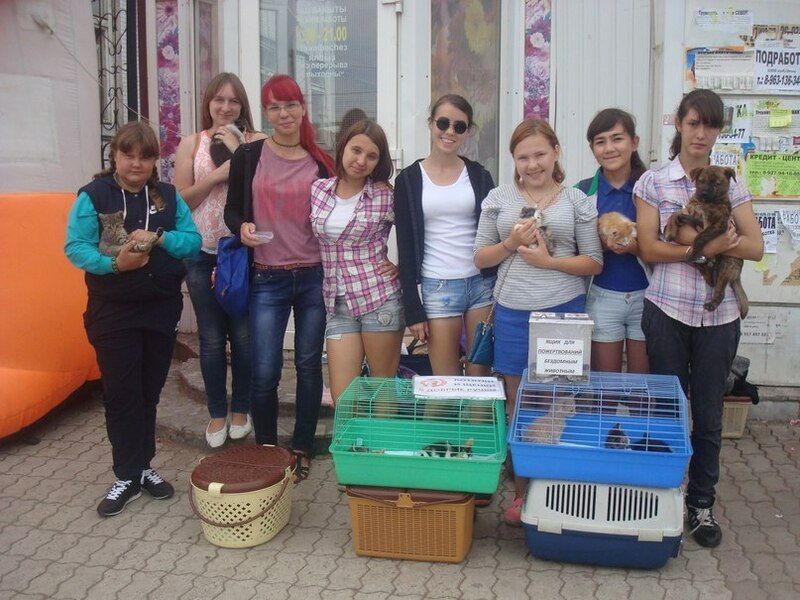 Most of the Volunteers are middle and high school students who do not have cars (yes, it is a privilege) and who live miles away from each other but that does not stop them from picking up stray or injured animals all over the town and driving them (in public transportation sometimes) to the vet clinics or foster homes. They are doing it all year long in any weather. 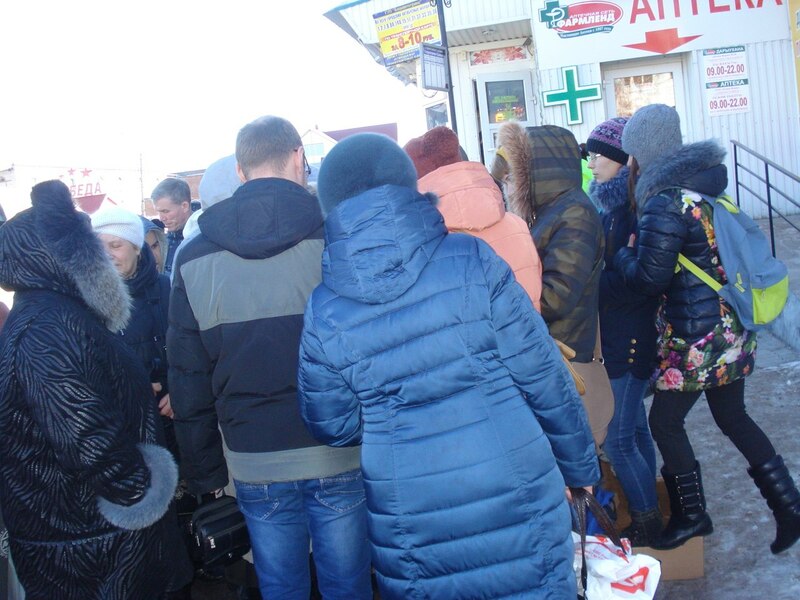 Sterlitamak Volunteers solely depends on the donations from the public and people do help with whatever they can: food, toys, medications, old clothes, free rides, donations and words of encouragement. 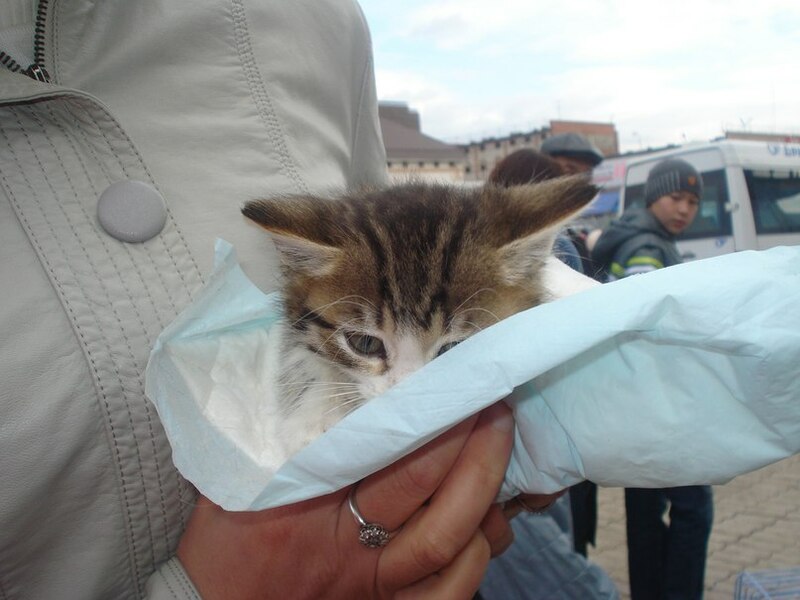 Thank you all who help animals in need! 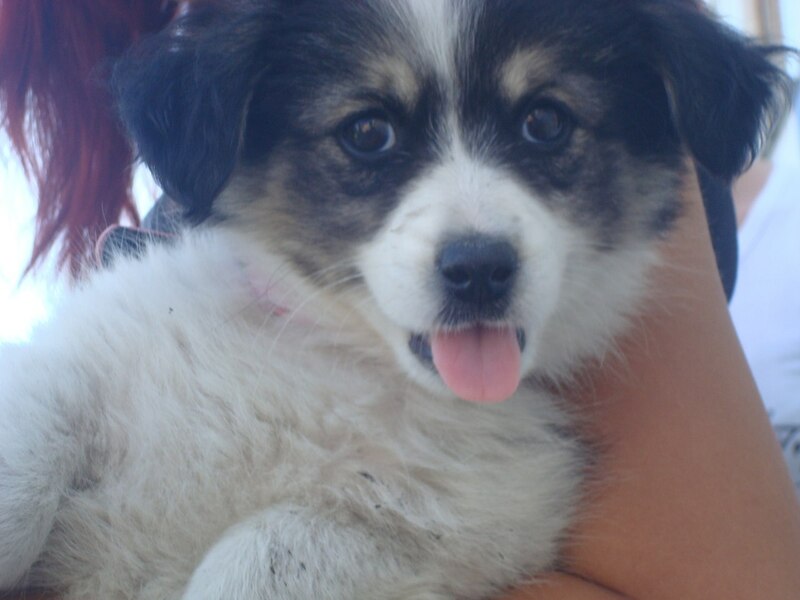 882 animals found their forever homes, you can see pictures of all adopted animals here. 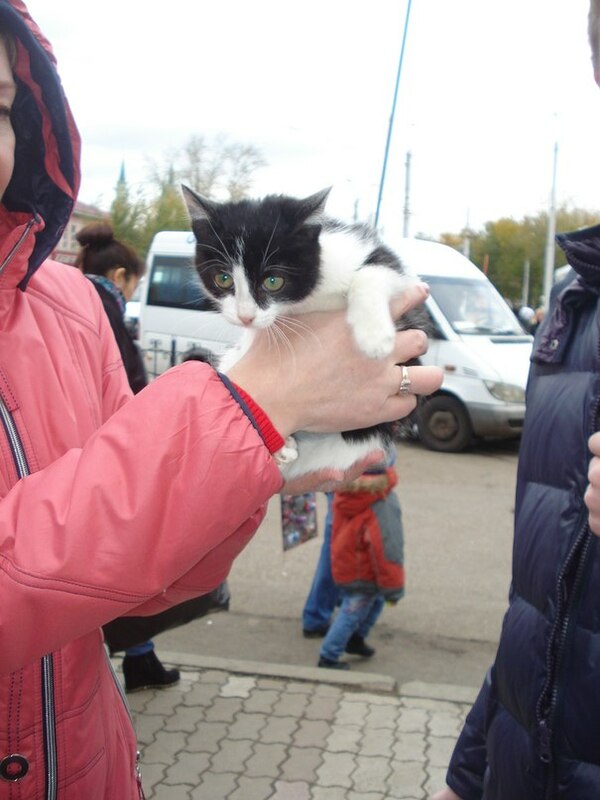 179 animals were spayed and neutered, please see pictures here. 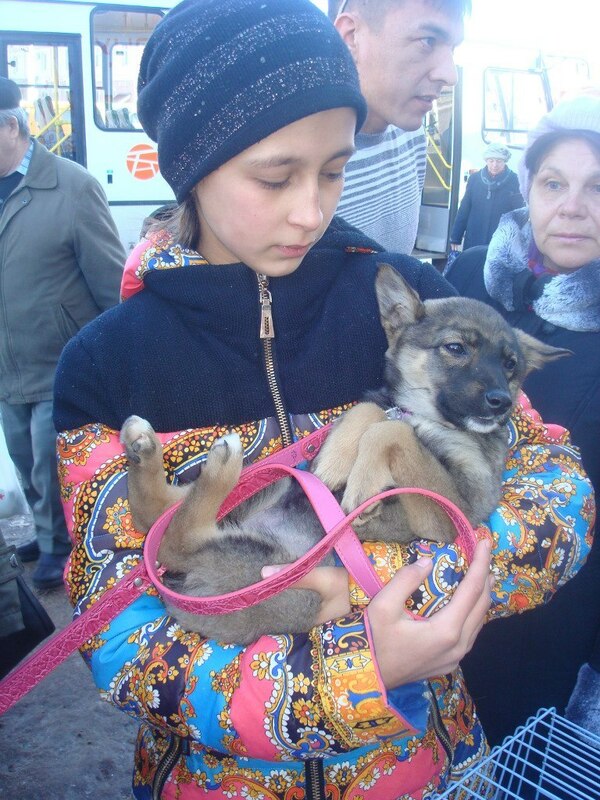 For 1.5 years of the existence of SV group the volunteers had organized 240 adoption events, see pictures of all adoption events here. 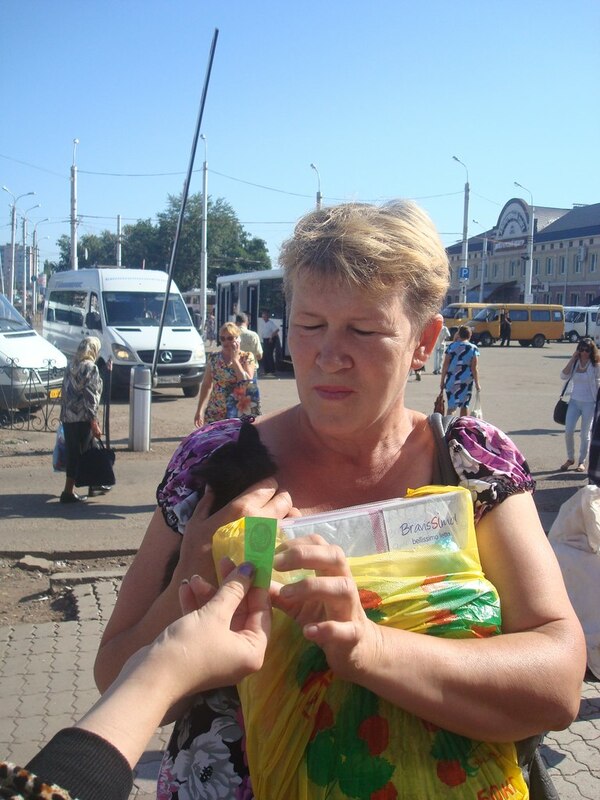 Sterlitamak Volunteers is a group of regular people – volunteers from Sterlitamak, Russia. 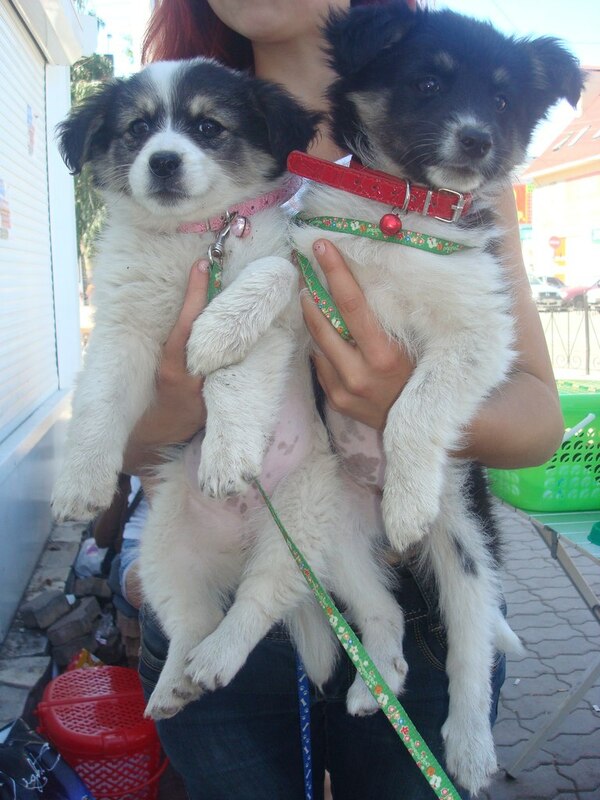 They joined their efforts to help street animals to bring them back to help and then find their forever homes. All the help that this group receives is coming from regular people from donations (of money, food, medication, foster care, transportation and so on). 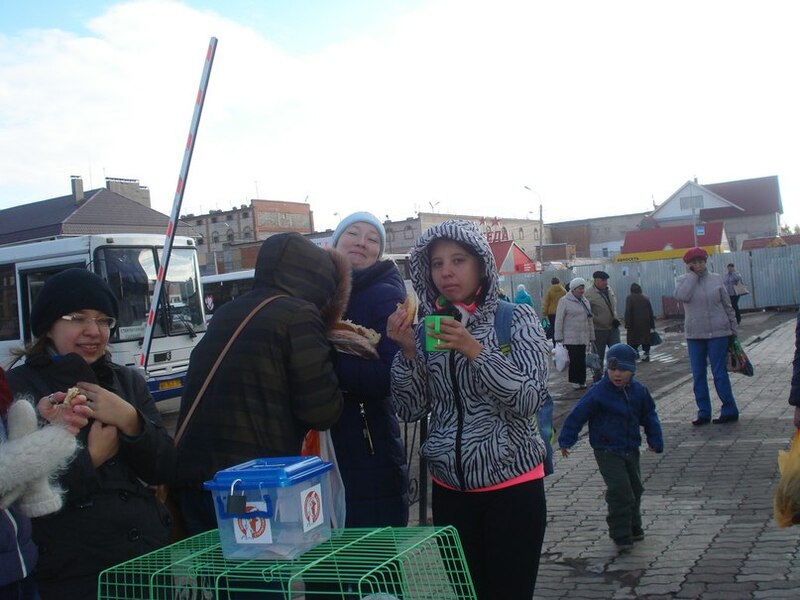 The leaders of the Volunteers are Tamara Mazitova, Svetlana Pankova, Nadezhda Bezrukova and Yuliya Dobrogorskaya. 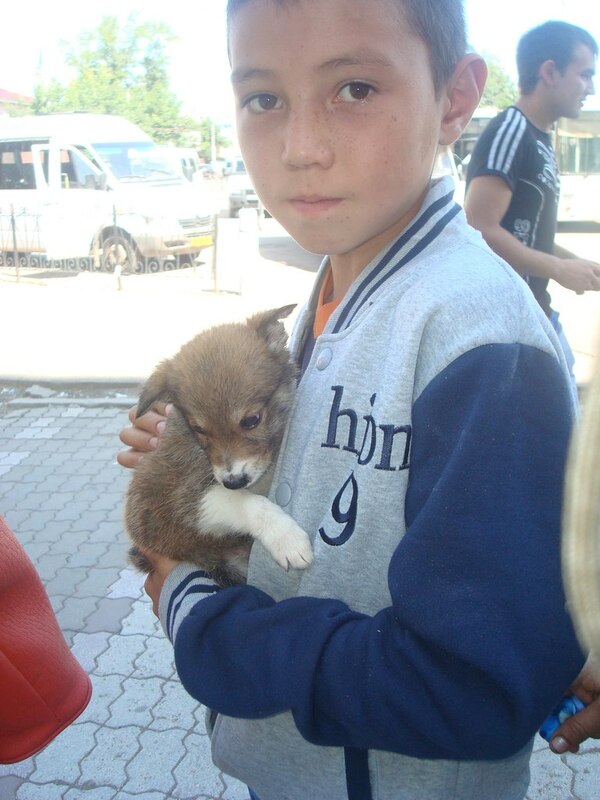 Most of the Volunteers are school kids who rescue, feed, foster animals in their free time from school. 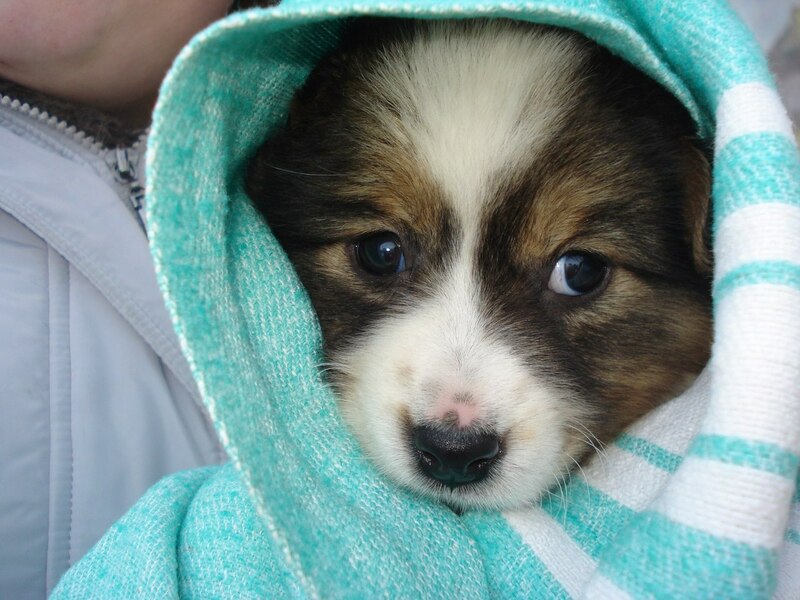 All adoption events are held all year around outdoors in any type of weather. 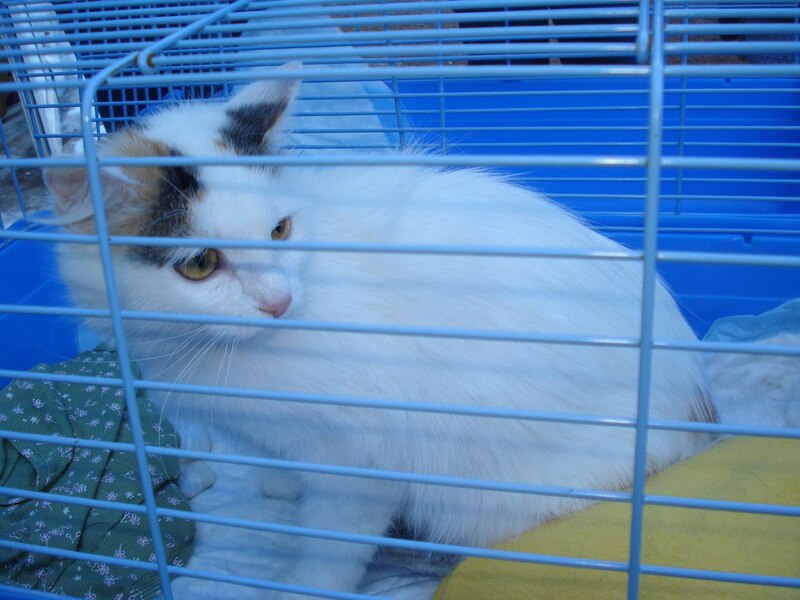 All adoptable animals were previously homeless and most of them had health issues. 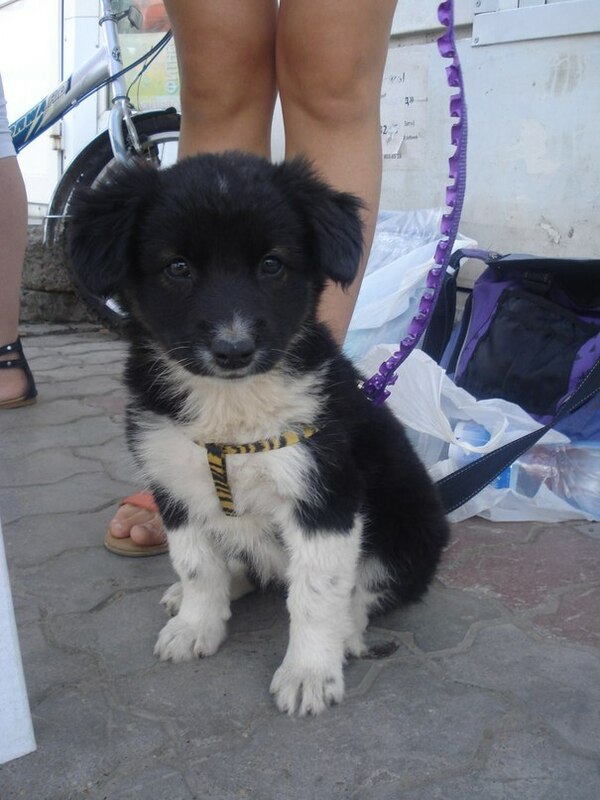 At the time of adoption all animals are healthy. 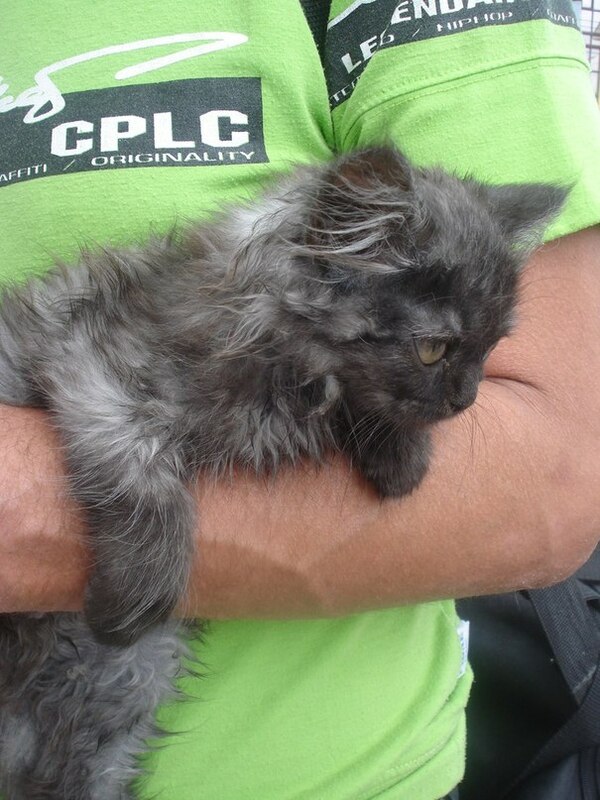 The adoptions are free of charge with future assistance in spaying and neutering. 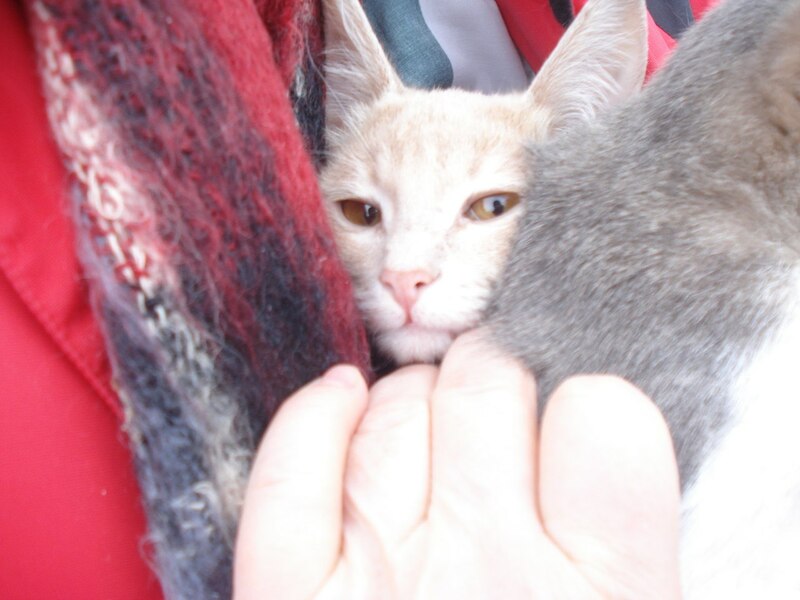 Prior to adoption events most of the animals are being fostered by the volunteers. 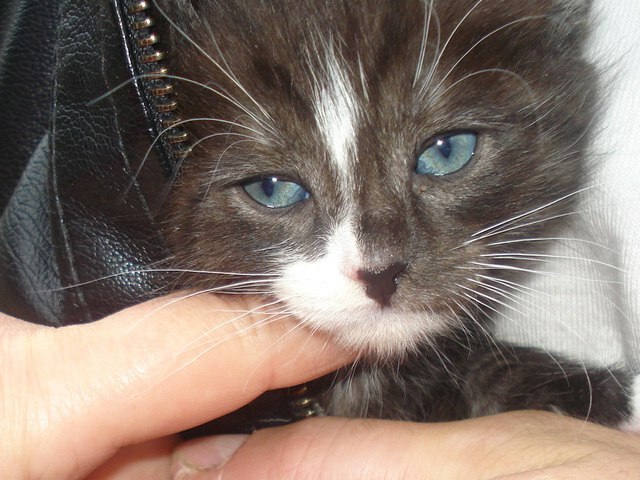 Some fosters have over 15 animals at a time in different health conditions. 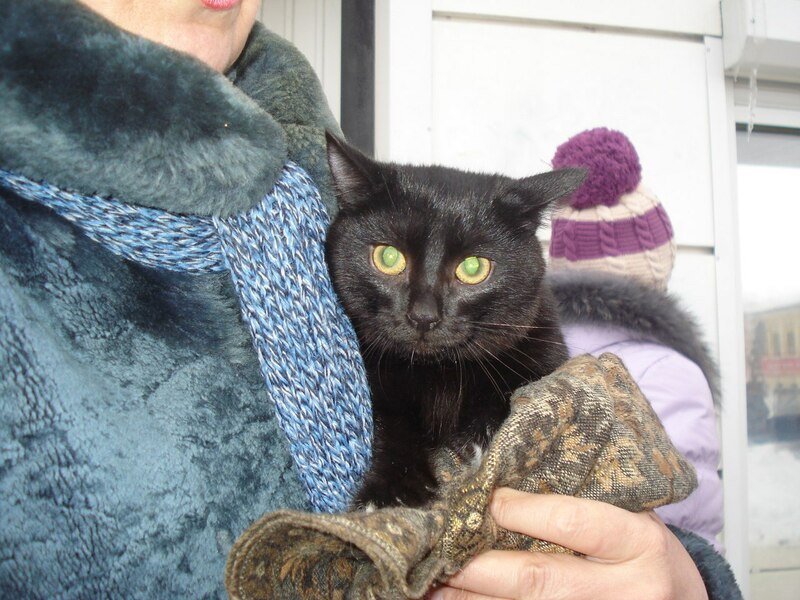 The countless efforts of Volunteers are paying off when they see the pictures of their adopted animals in their forever homes. Unfortunately, we cannot help all of them, sometimes the help comes too late. 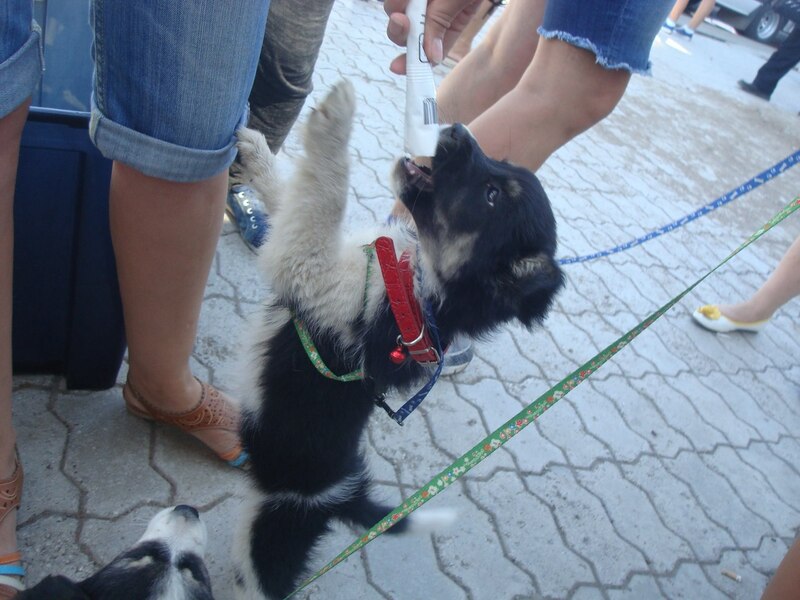 If you would like to help us, please make a donation via our paypal account. 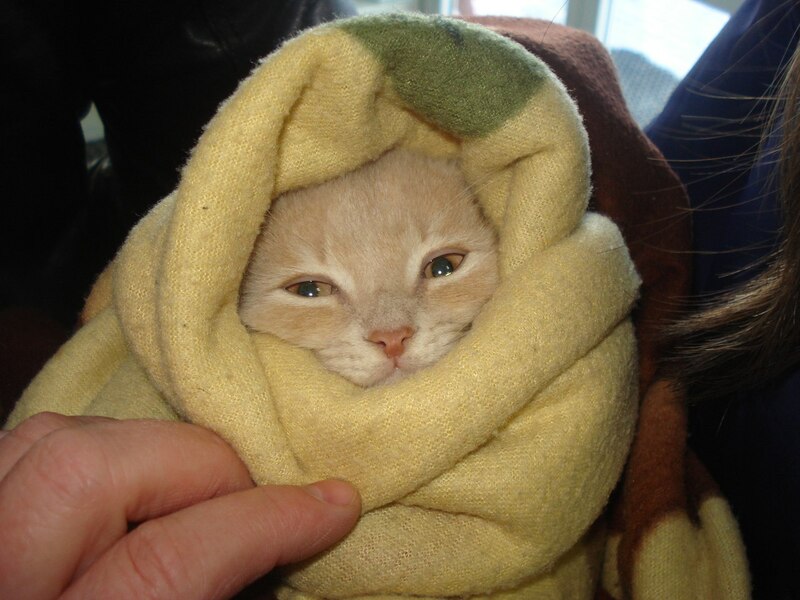 All donations are going to the animals of SV group. 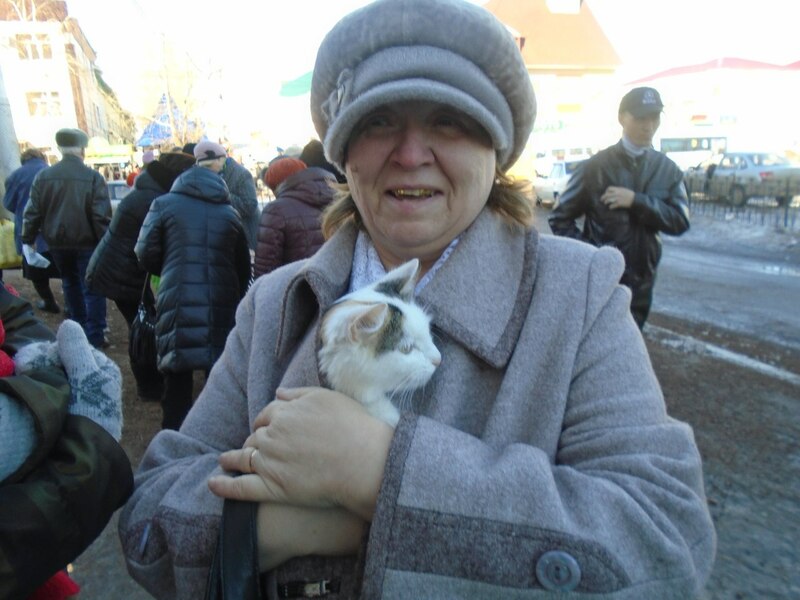 October 4th is World Animal Day and Volunteers in Sterlitamak, Russia held their 224th Adoption Event which lasted for five and a half hours. 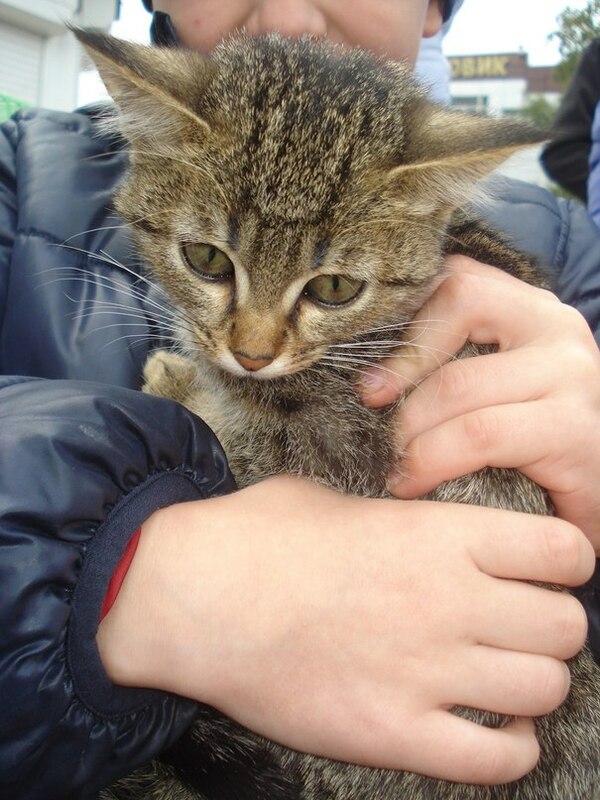 As a result 10 (8 kittens and 2 puppies) previously homeless and abandoned animals found their homes. 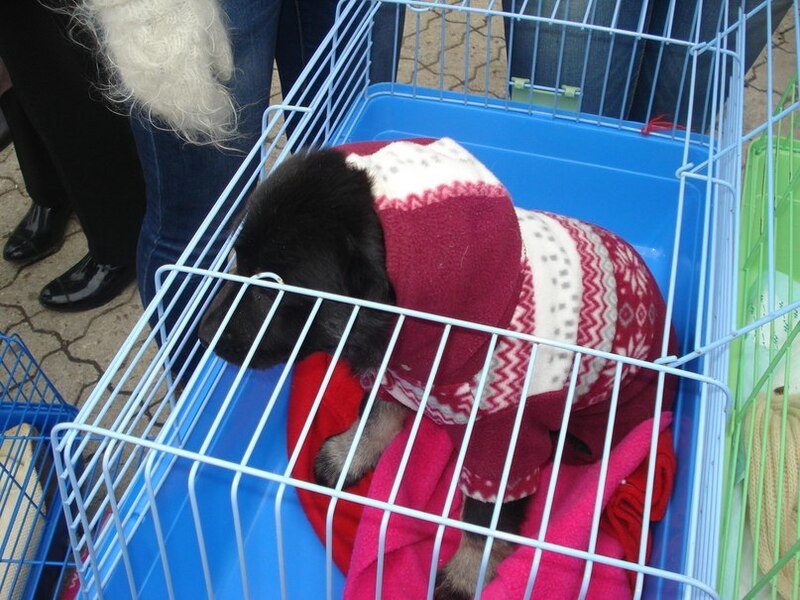 The adoption events are held outside all year around, and today it was very cold, but that did not stop the Volunteers from taking their foster animals and going to the event! 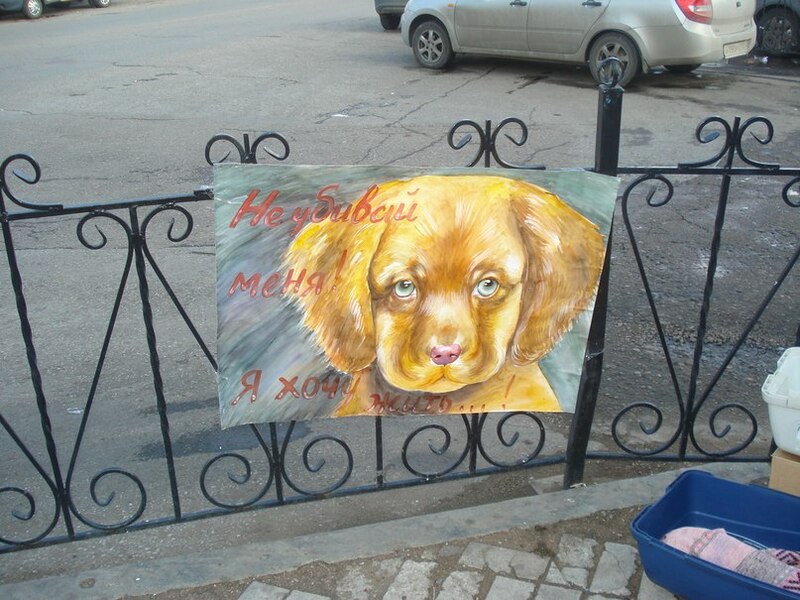 To celebrate the World Animal Day the Volunteers had painted posters to spread awareness about compassion for all animals, especially the homeless. Please, do not forget about animals not only today but every day; do something for them because it can be a difference between life and death for them! 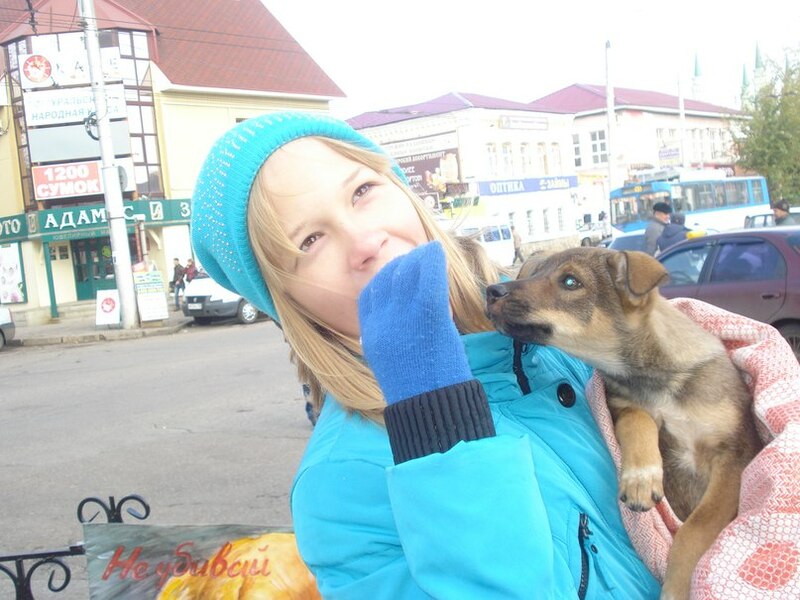 Happy World Animal Day, all animal lovers!!! 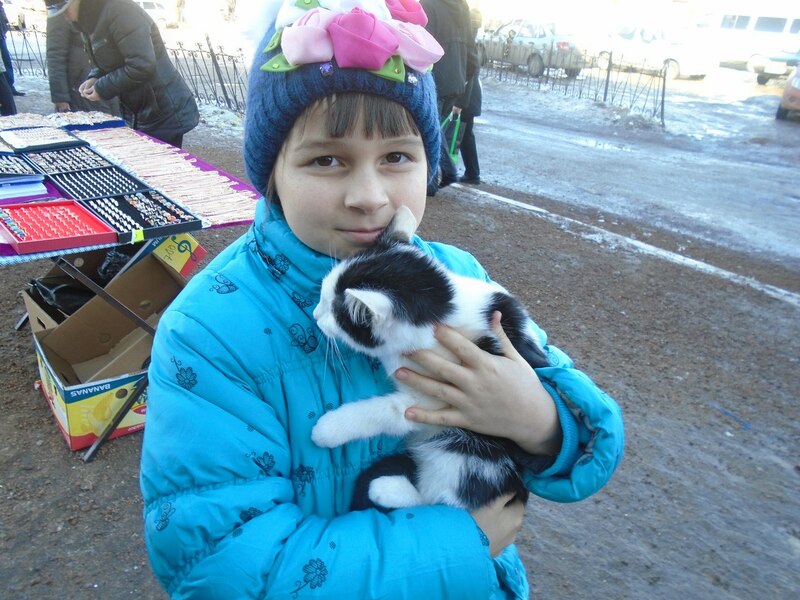 This post is to provide a glimpse into work of the Sterlitamak Volunteers. 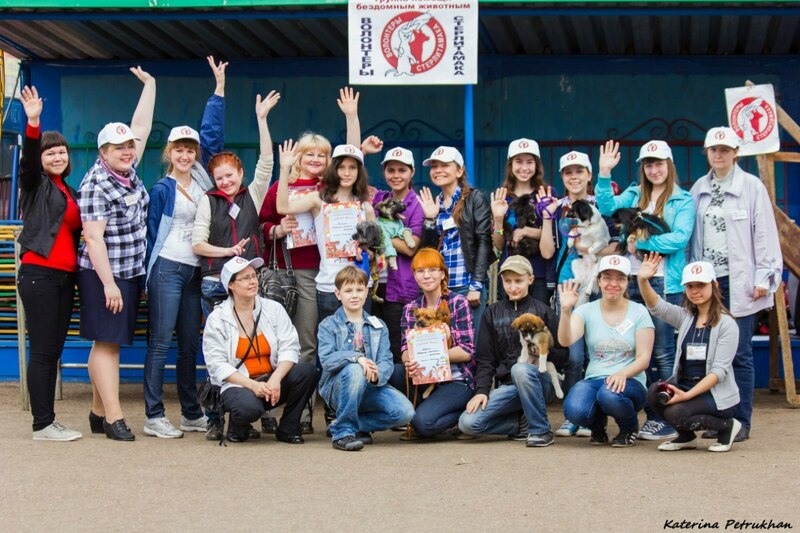 The volunteers are mothers, fathers, teenagers, students, elementary, middle and high school kids with their parents who support what they do ever single day – saving animal lives. 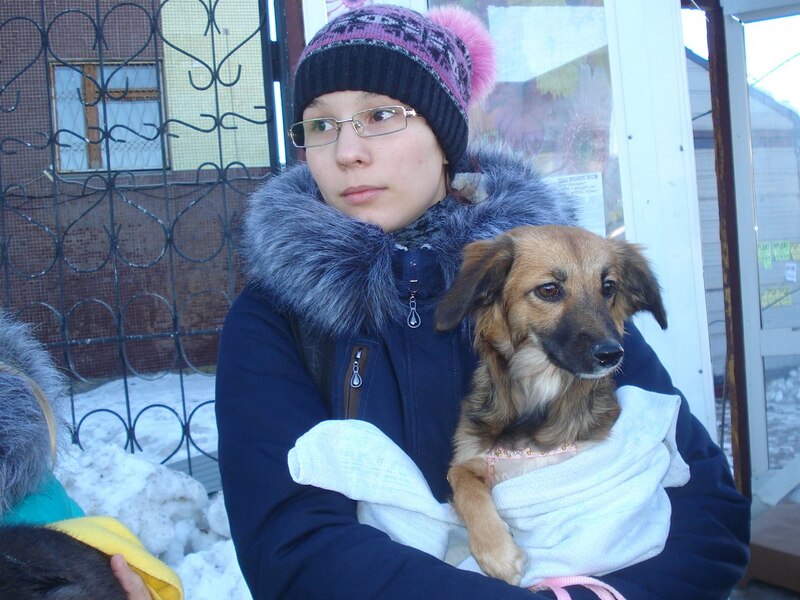 Despite homework, school, work, chores, and other problems of day-to-day life, the Volunteers devote their time and big hearts to homeless animals. 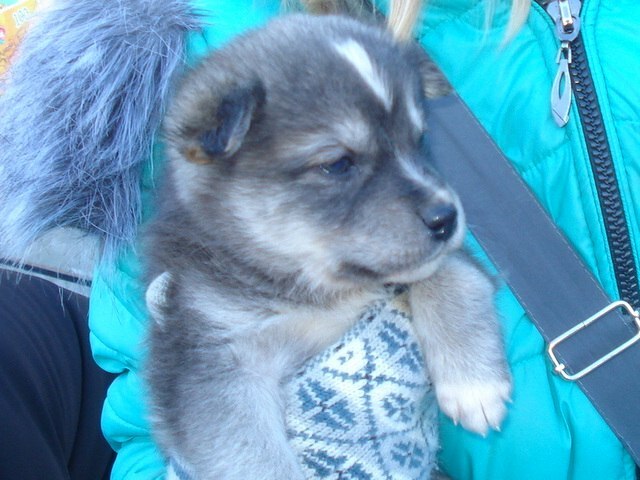 As I have mentioned in my previous posts, in addition to taking animals from the streets and nursing them back to health, the Volunteers organize Adoption Events. These events take place outside of a Mobile Phone store near a local market. The management of the store allowed the Volunteers to occupy a small space by the porch. 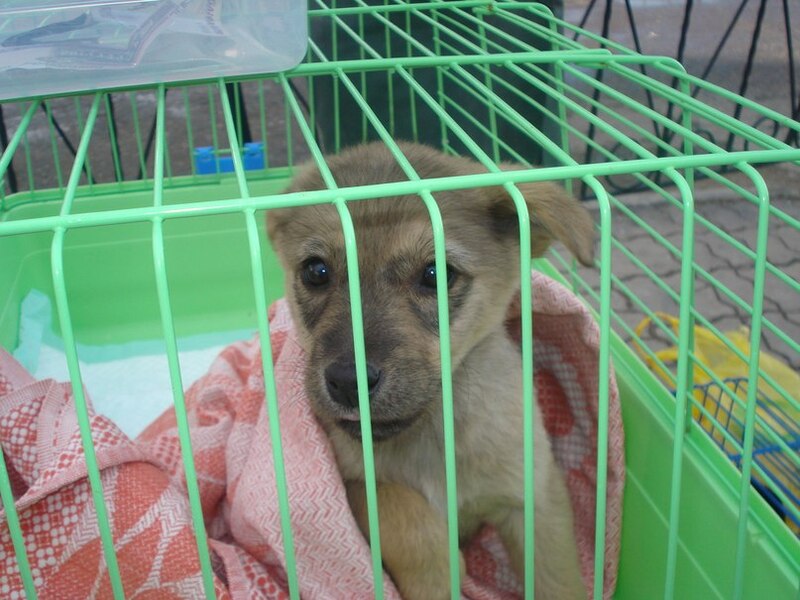 They do not have any tent or seats, just the crates with fostered animals which they transport themselves from different parts of town and the country. 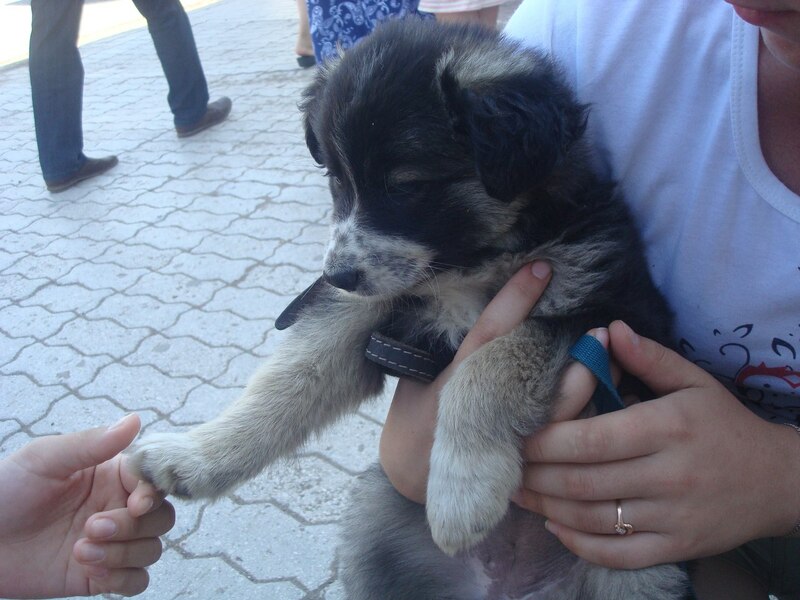 Adoption Events usually run from 10 am to 6 pm. The Volunteers are on their feet for over 6 hours at a time without any shelter! 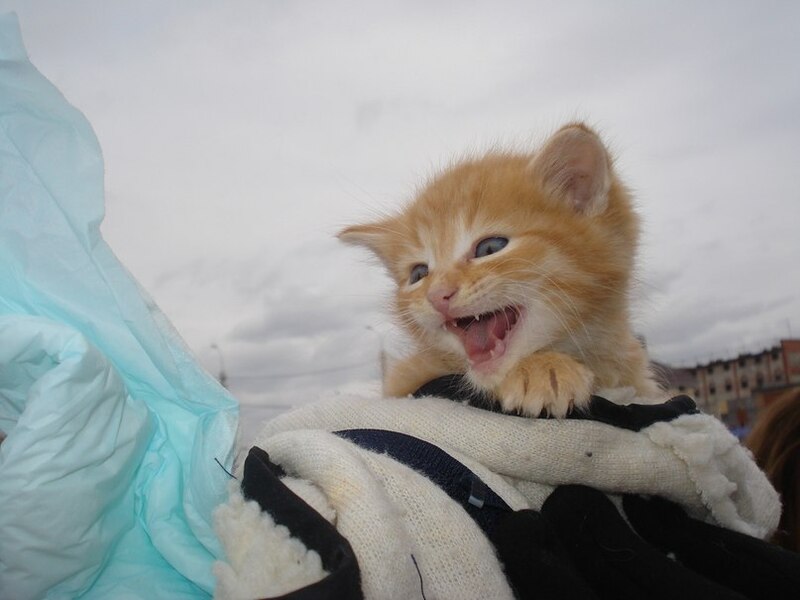 Adoption Events are hosted 3-4 times a week all year long! In Russia winter weather sets in around mid October and lasts until mid April. Summer weather lasts for just over 2 months. From June to September 1st school kids are on summer break. 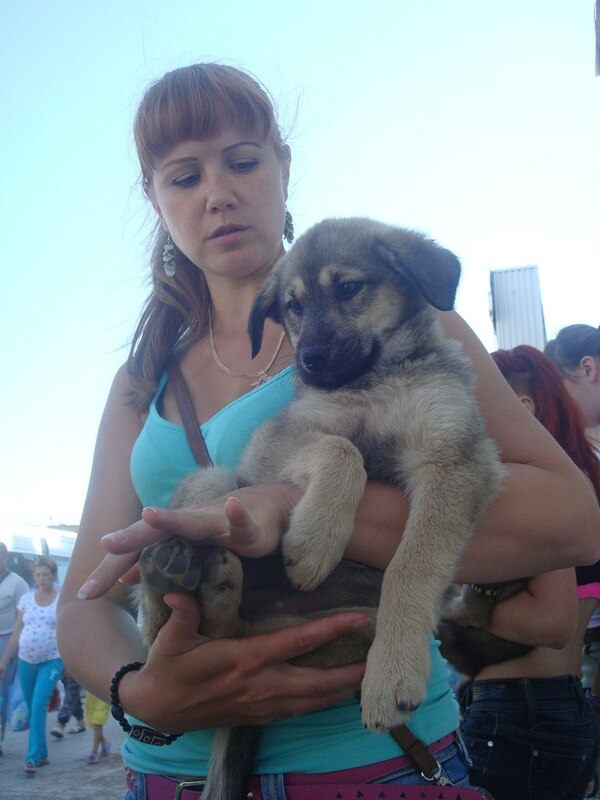 Some of them enjoy the hot wether but others, like our Volunteers, take care of homeless animals and organizing Adoption Events. 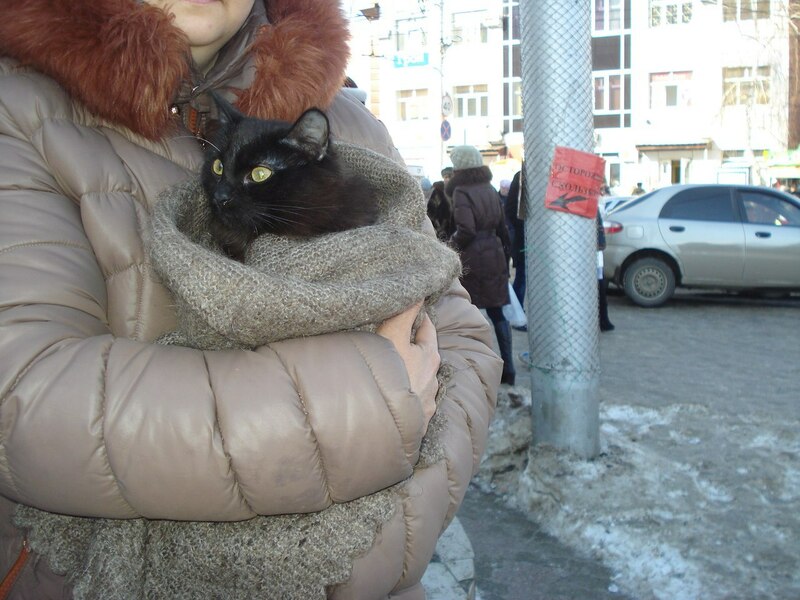 Yes, it is very cold in the winter and Volunteers keep animals warm by wrapping them into warm blankets or tucking them inside their jackets. 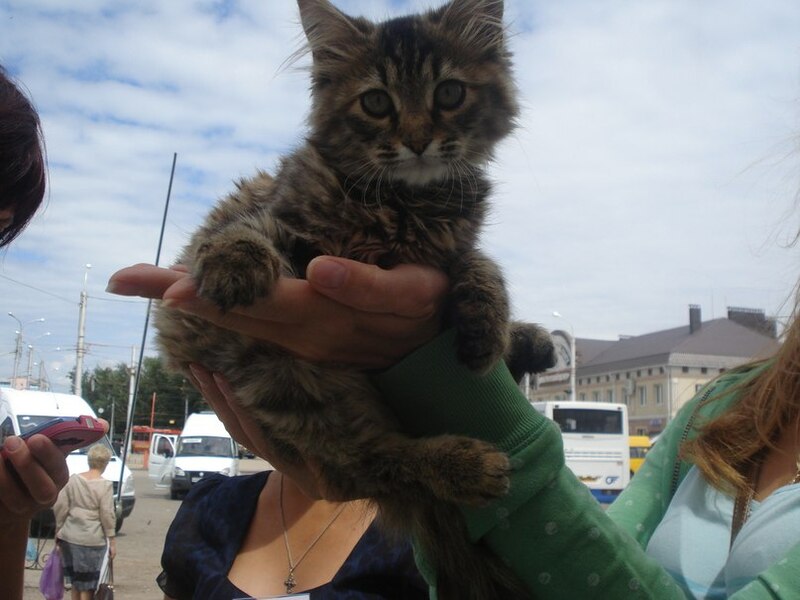 The summer season is almost over now and many Volunteers will go back to school on September 1st. 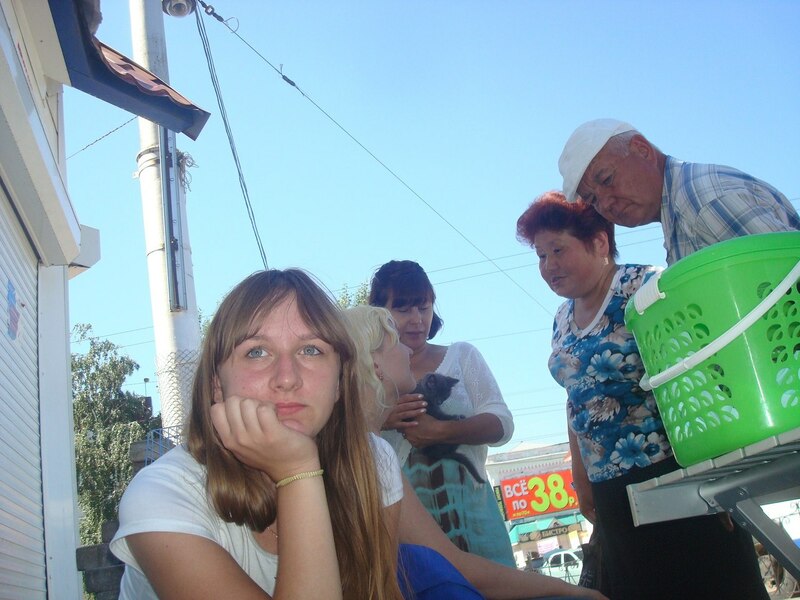 Unlike their school mates, Volunteers did not have time to rest this summer. 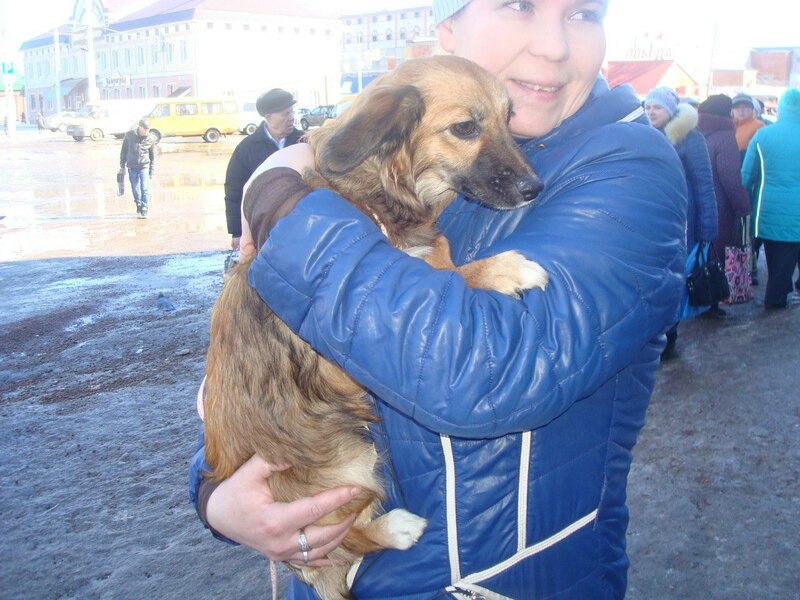 For example, just this week 2 Volunteers brought a former stray dog to be spayed. 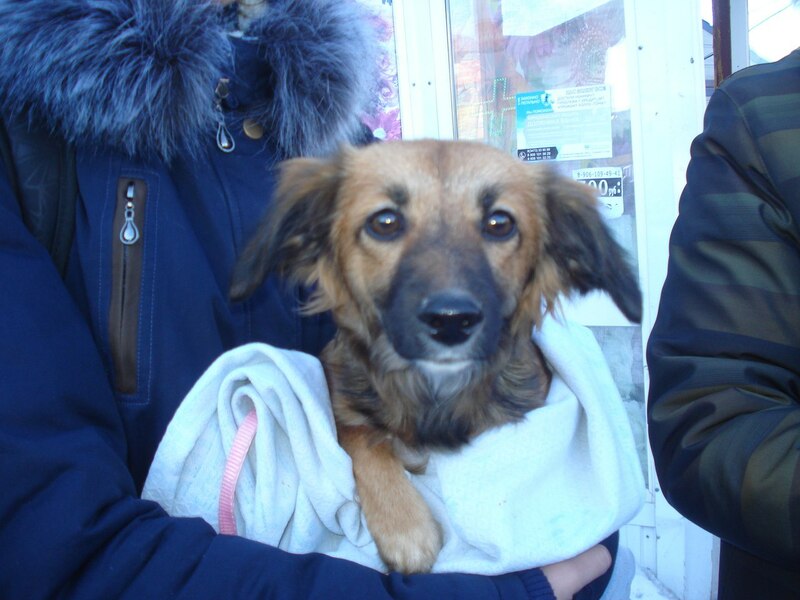 They already found a home for the dog in the country side, an hour away from the vet clinic. 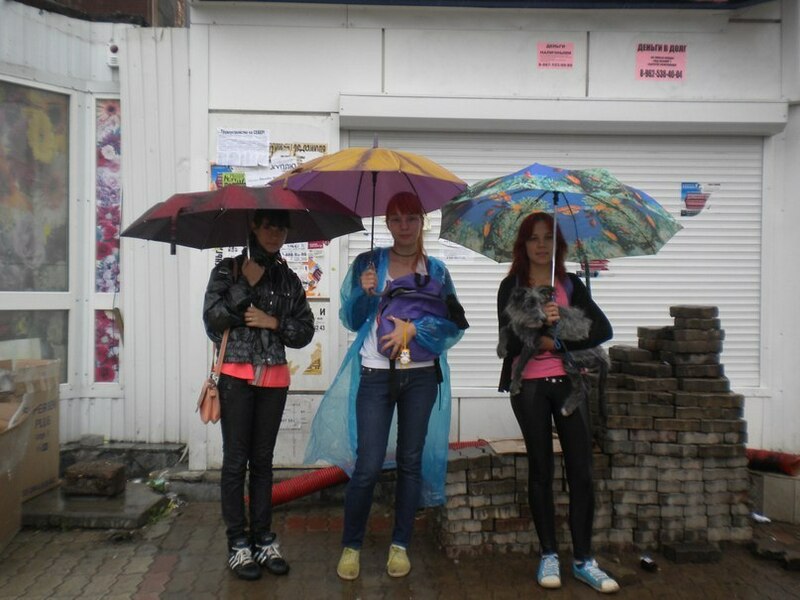 The cost of transportation for the animals was paid by these girls. The dog weighs over 40 lb! 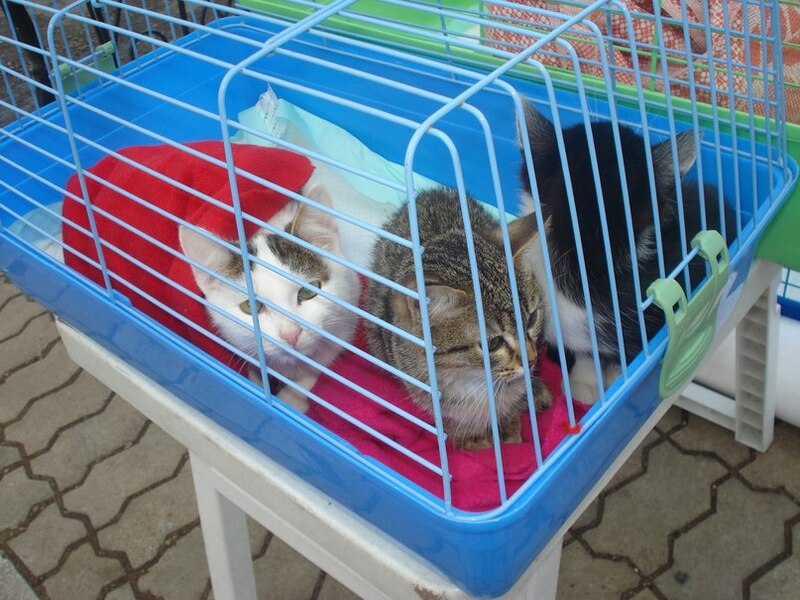 These 2 Volunteers had a foster cat also who needed stitches removed after a surgery. 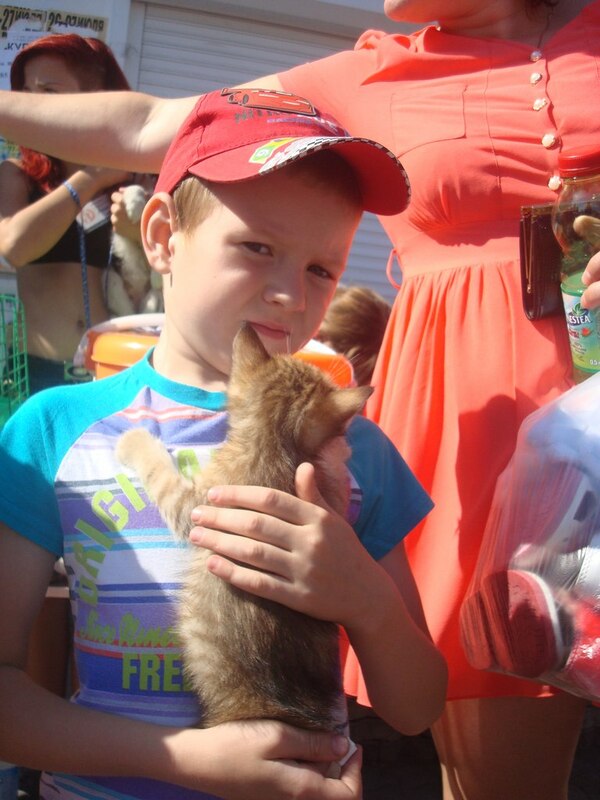 As a result only this year Sterlitamak Volunteers found homes for 575 animals, please see pictures here. 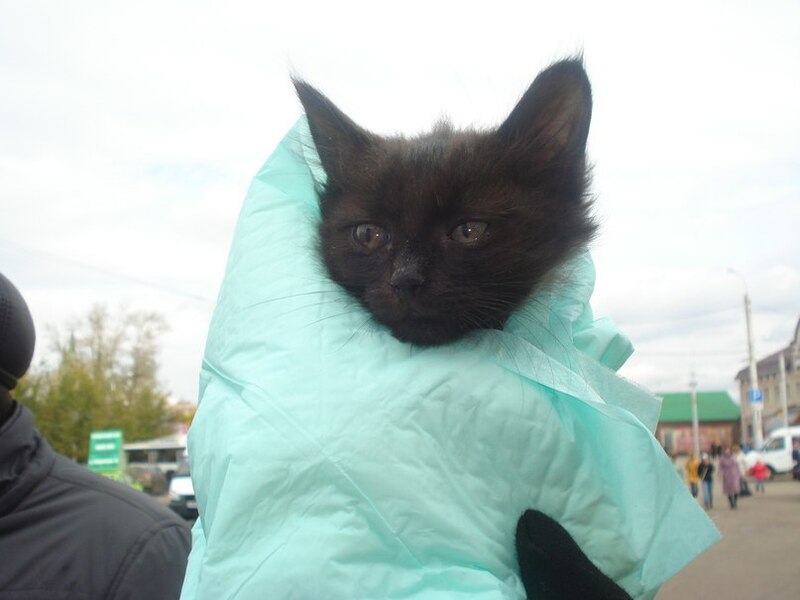 As of today, 144 homeless animals were spayed and neutered, please see pictures here. Everything from transportation charges/gas to vet bills, medications and food for animals is either fund raised by Volunteers or comes out of their pockets! The Volunteers who are in high school don’t do it for Community Work credits, we simply do not have this type of requirement in our school system. 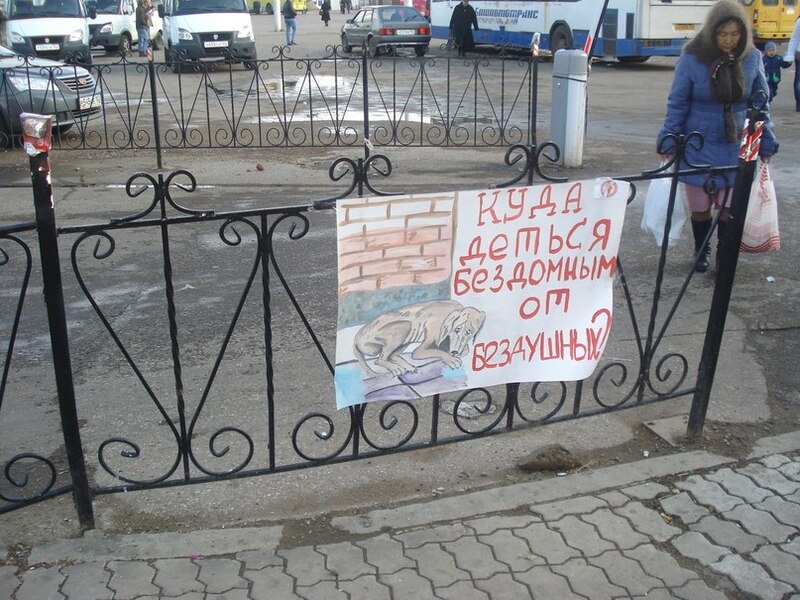 This shows a strong devotion to the cause of saving animal lives! 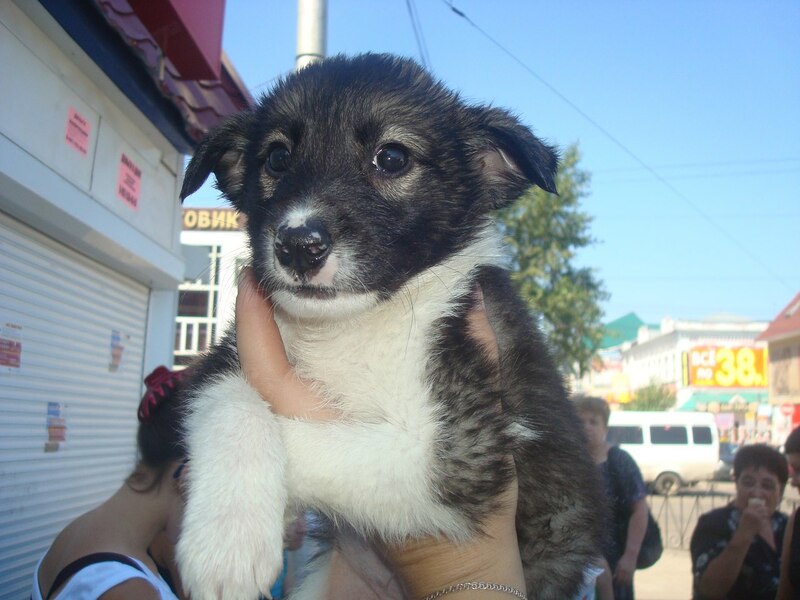 Please support Sterlitamak Volunteers by donating a small amount which will go a long way! Please share! 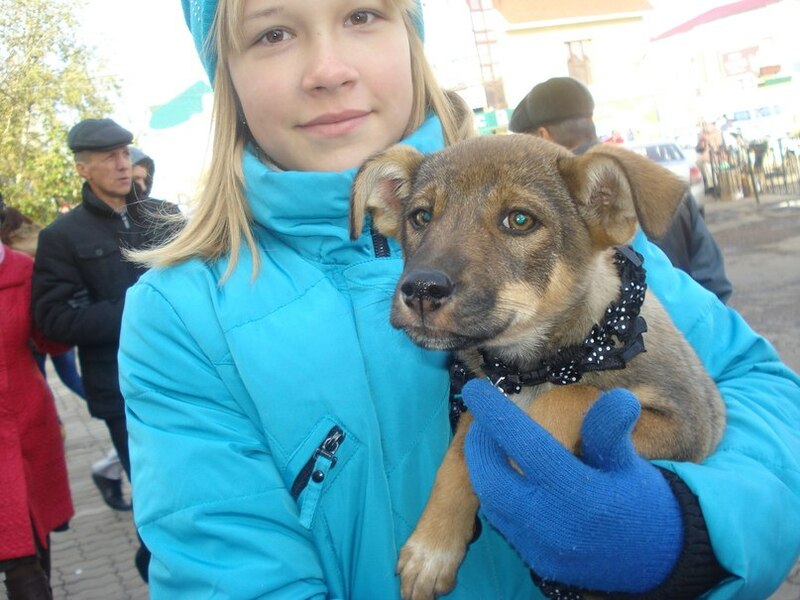 Today Sterlitamak Volunteers had Adoption Event #199. 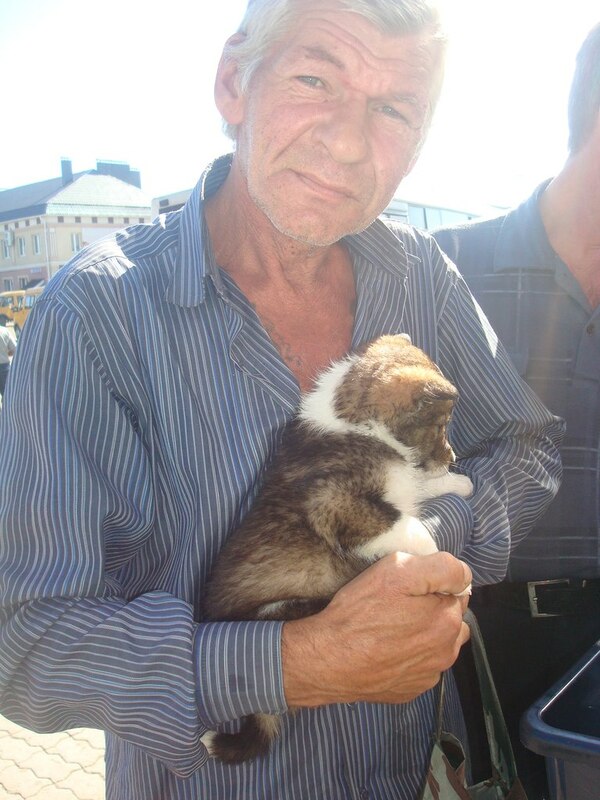 They were standing under the sun for almost 6 hours with their foster animals they had taken from the streets. 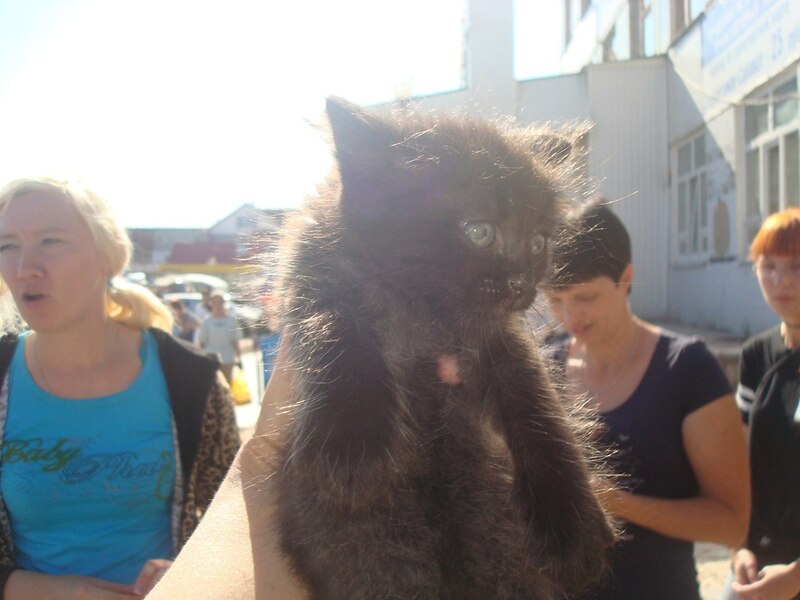 Most of these cats and dogs were sick and injured or simply abandoned or born from a stray animal. 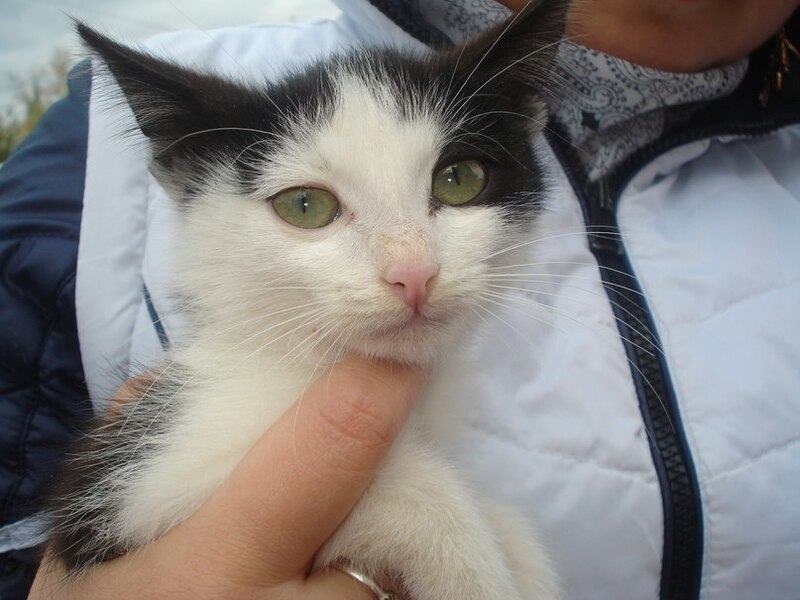 At the time of the adoption, all animals are healthy and provided with a clean bill of health from their vet. 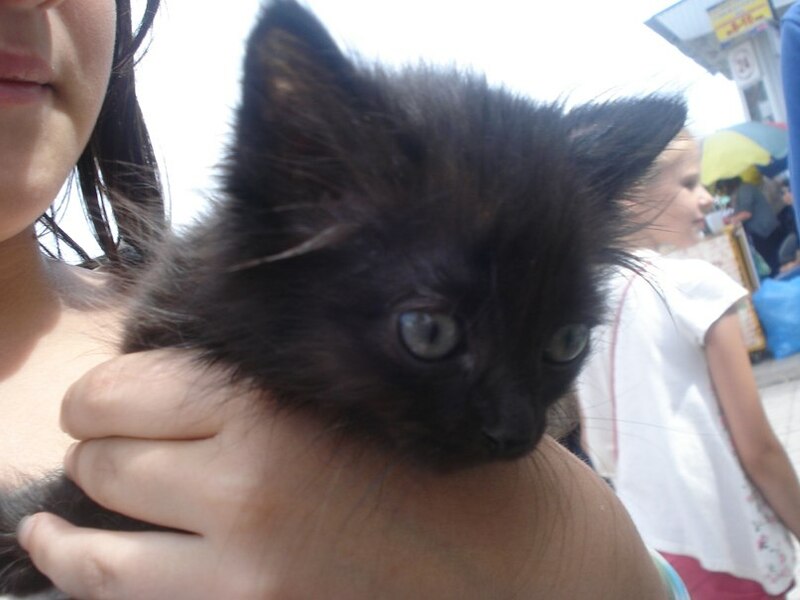 Today 13 animals found their homes: 10 puppies and 3 kittens. 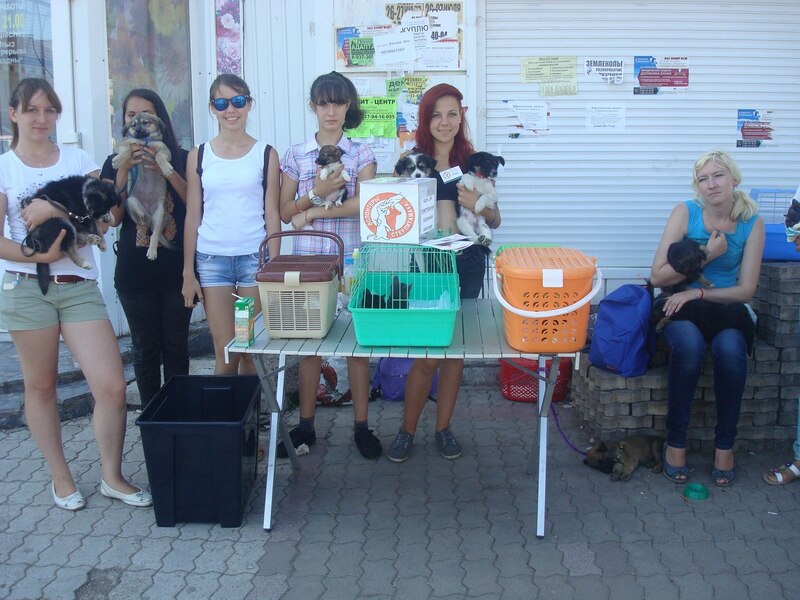 Sterlitamak Volunteers group had 186th adoption event on July 9th. As a result of standing from 11 am to 3.30 pm under the sun in a hot weather, the Volunteers adopted out 9 kittens from different fosters. The dedication of these people is admirable. 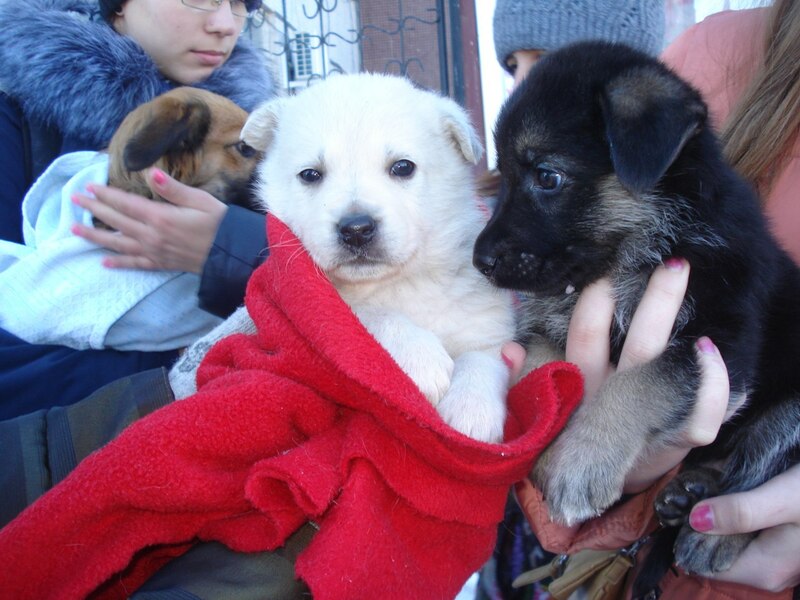 All of them have families and their own problems, but they invest their time and hard work in saving animals! 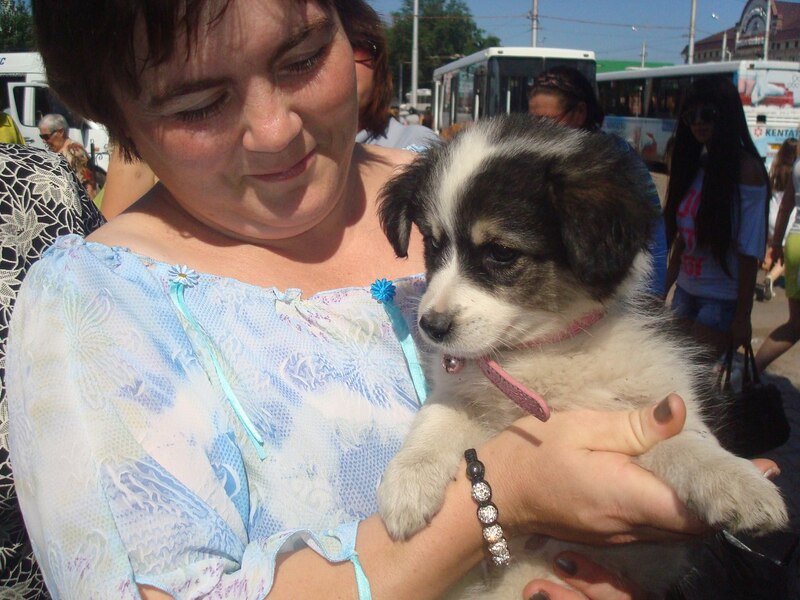 One of the volunteers lives outside from Sterlitamak and she has to take a bus at 7am (with her foster animals) to get to the adoption events at 11 am!!! Isn’t that a true dedication?! 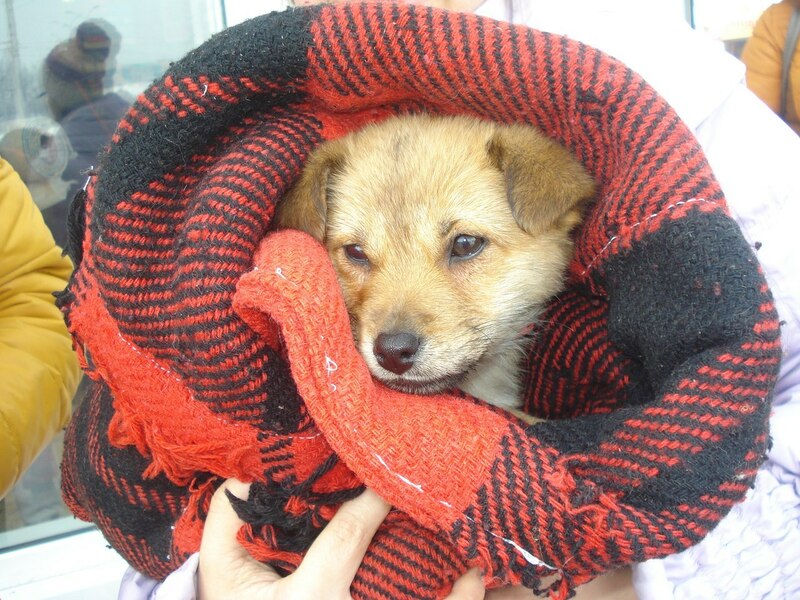 Note: The group adopts out previously cured animals which have been picked up from the streets. 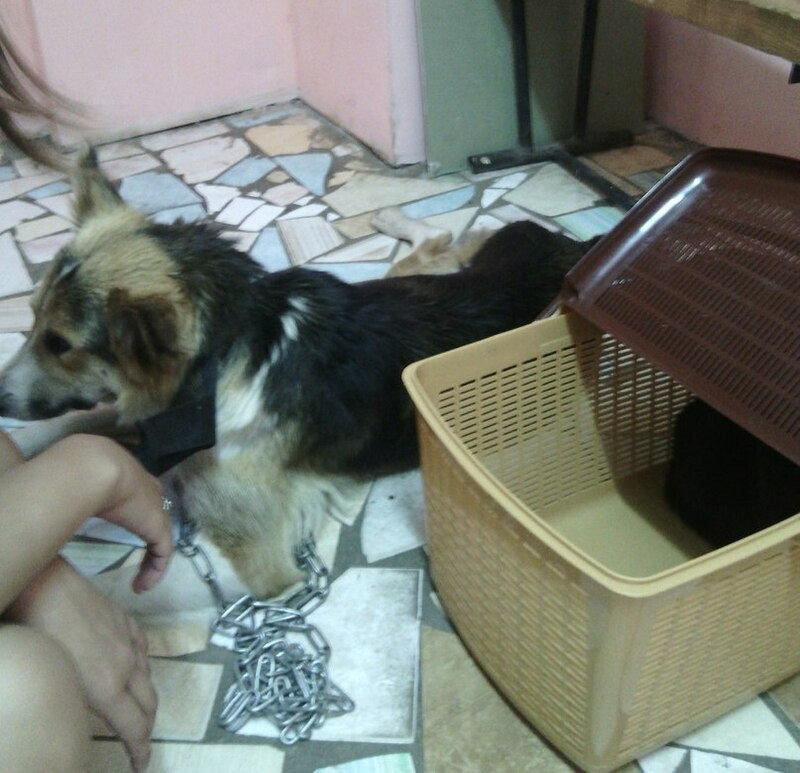 All of the animals have a note from the vet of clean bill of health at the moment of the adoption. 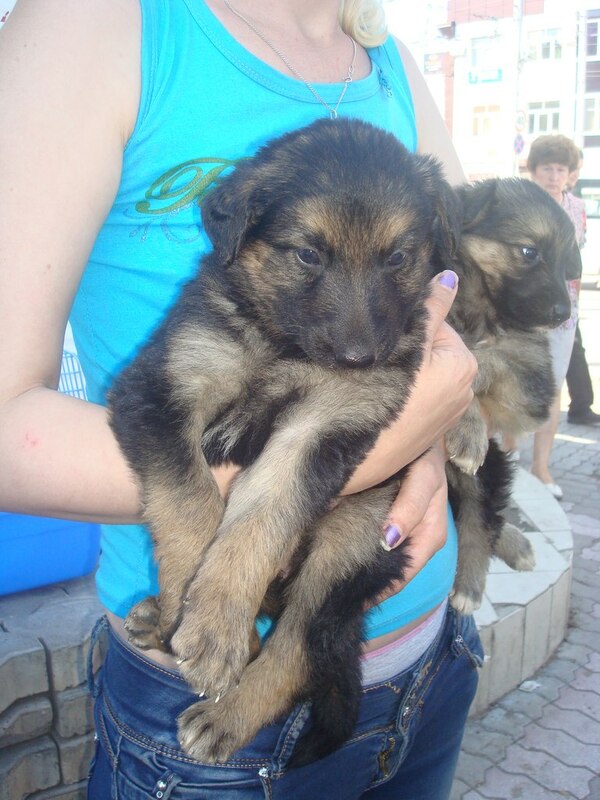 All adoptions are free of charge and people can donate anything they want (food, money, toys for animals and etc). 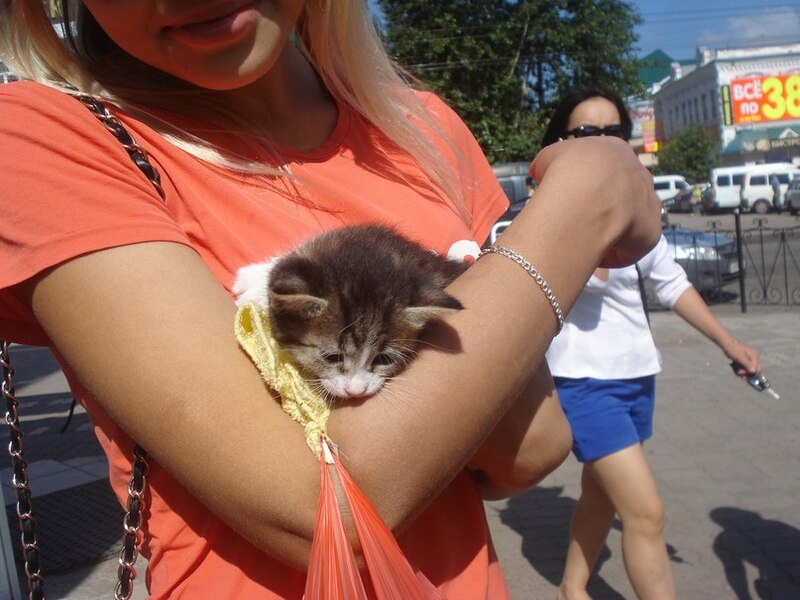 Most of the times, random people bring found animals to these adoption events and tell the Volunteers to take them in (usually in a demanding way). 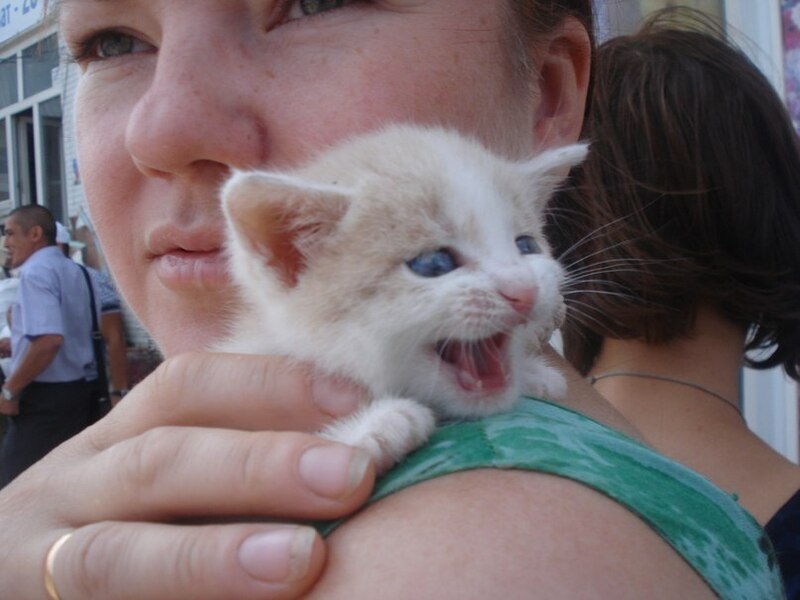 The Volunteers foster over 200 animals, and fosters are not easy to find. 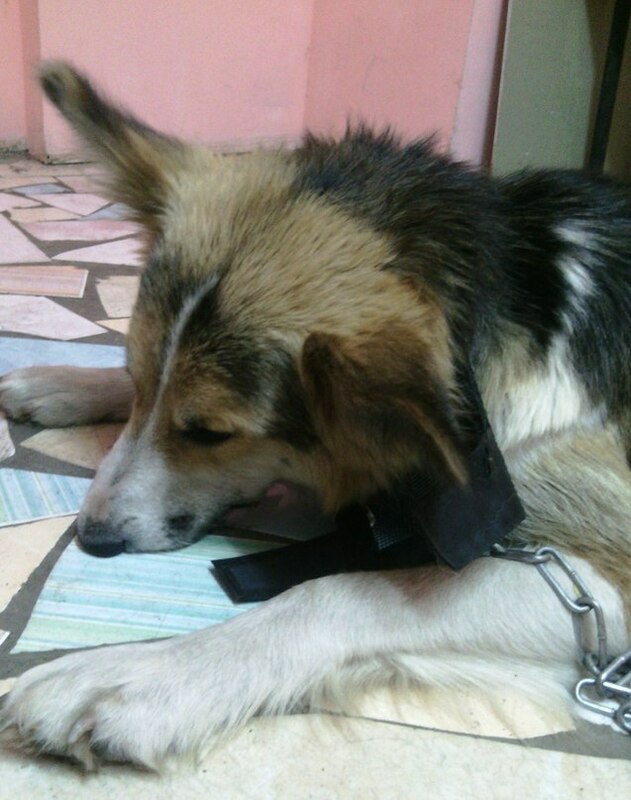 The animals that were not so lucky to find their foster homes are being looked after in the places where they live by an assigned Volunteer who feeds and brings water to the animals daily. 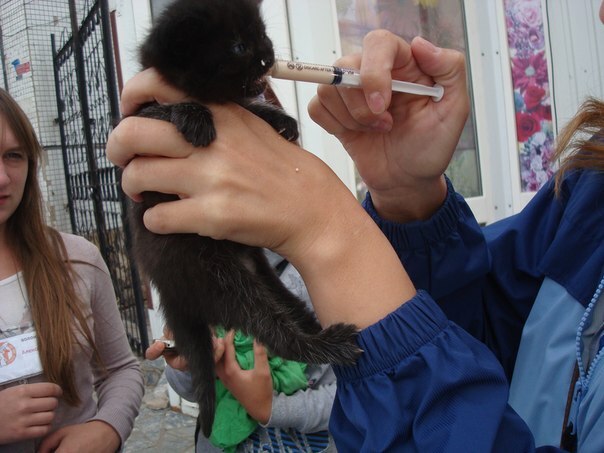 Also, the Volunteers provide medical care if needed. All this done by people with huge hearts and true love for animals.